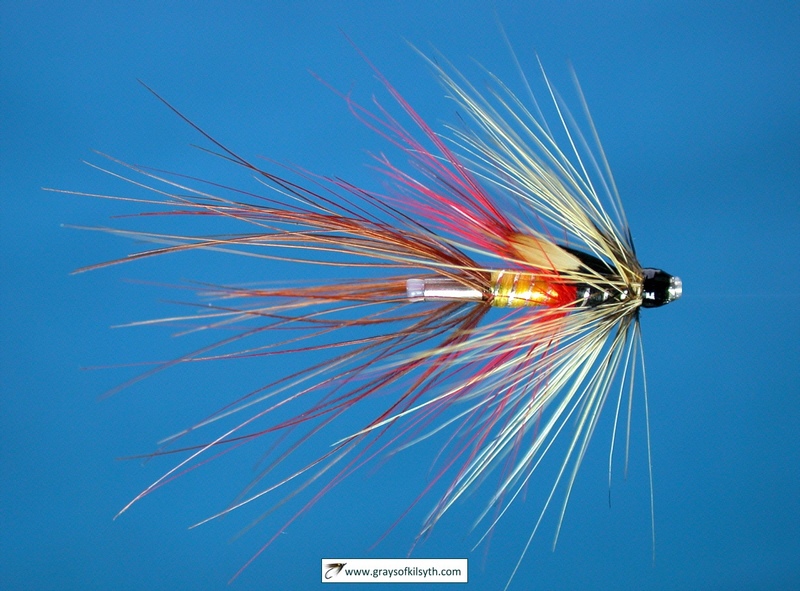 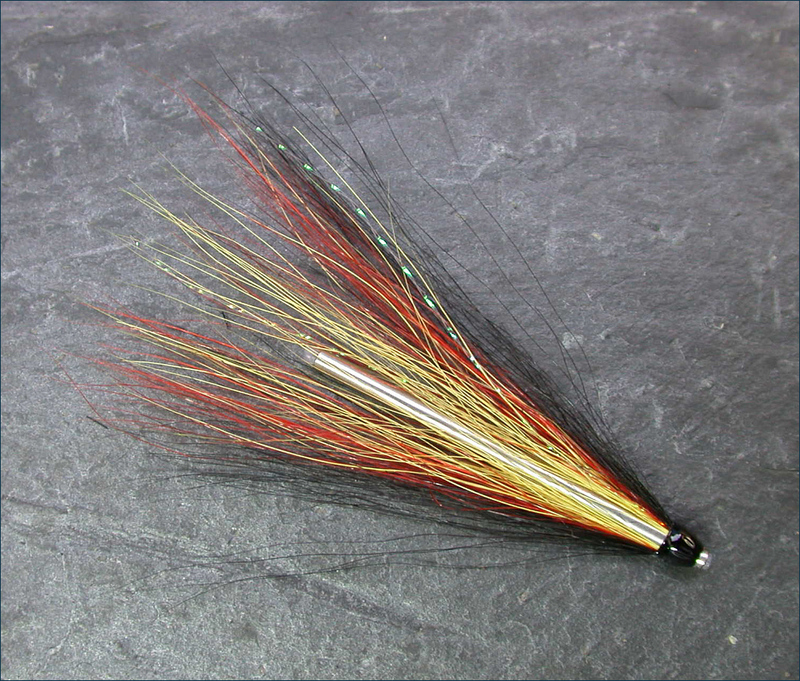 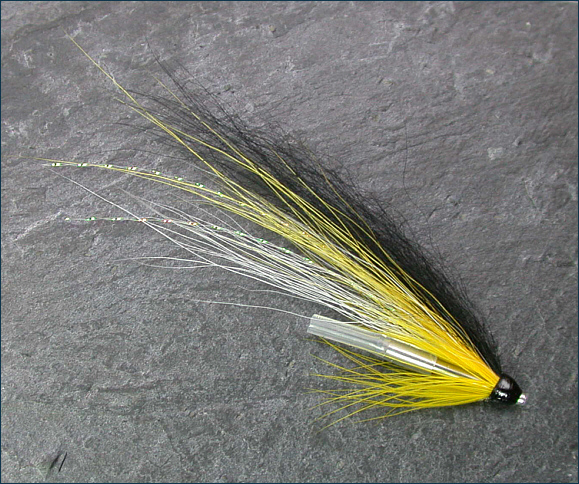 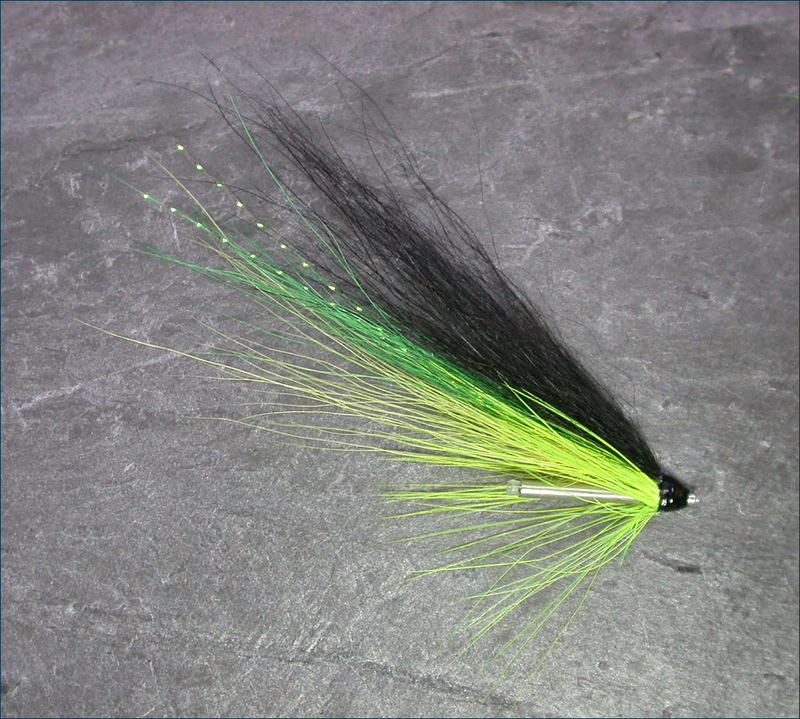 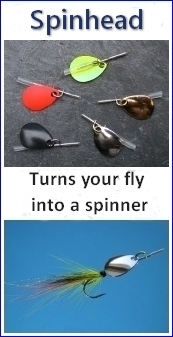 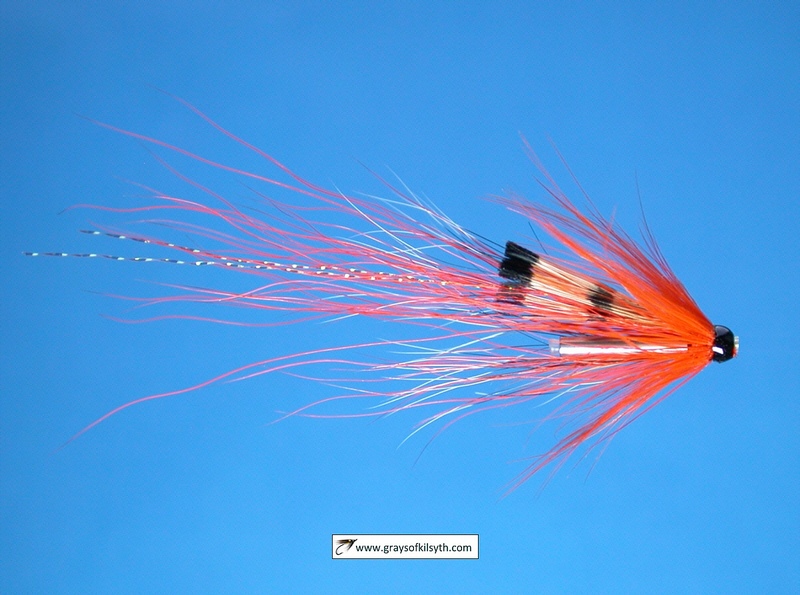 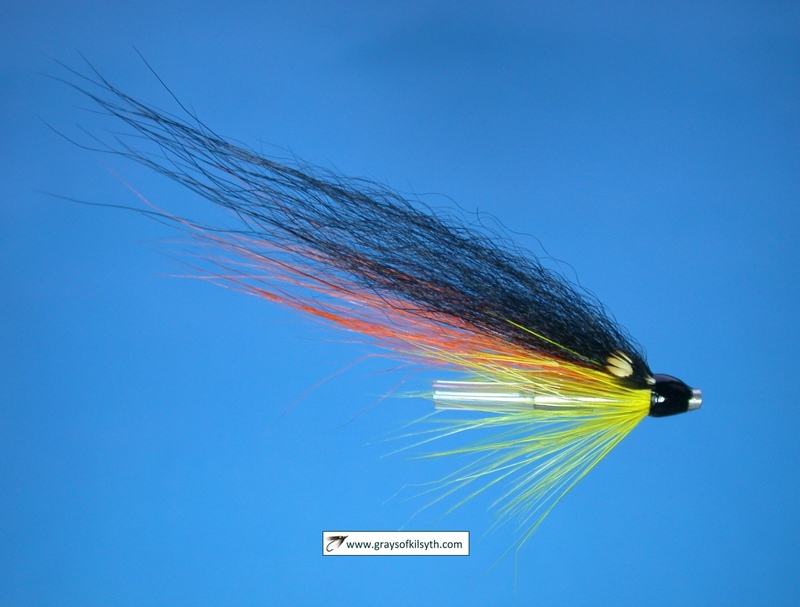 The Willie Gunn and Black and Yellow are very effective salmon fly patterns, popular with early season salmon fly anglers. They are often dressed on a range of tubes, of different lengths, materials, weights and densities, giving flies for all conditions likely at the start of the season. 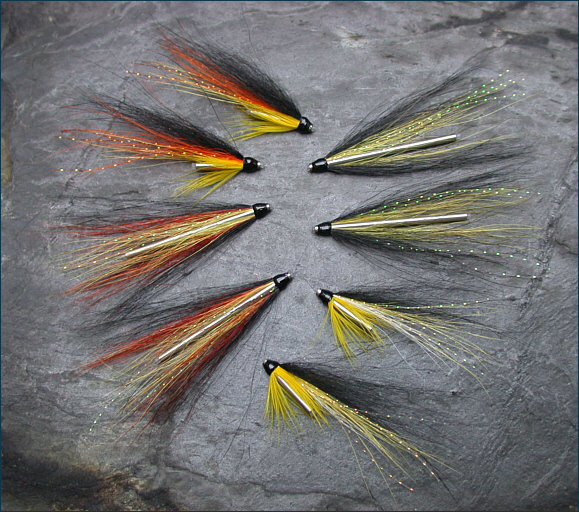 A small selection of such early season tube flies is shown below, dressed on Gray's Needle Tubes, fine stainless steel tubes with an outside diameter of only 1.8 mm.